Cookies are one of life’s great treats. Star Wars cookies are even better. Given the way he ate, maybe Jabba the Hutt would have been satisfied with some cookies featuring Han frozen in carbonite instead of the real deal hanging on his wall. Boba Fett really should have tried this tactic first. It would have been much easier than following the Millenium Falcon around. But then Return of the Jedi would have been a whole different story. 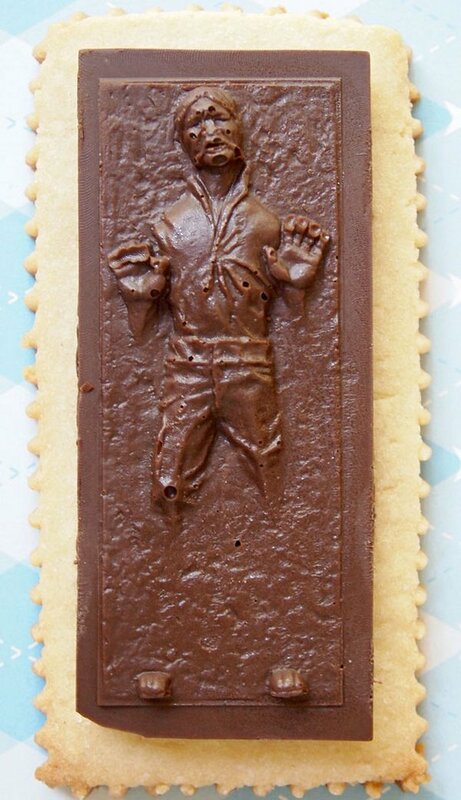 If you want to make some of your own Han Solo in Carbonite cookies, you just need a Han Solo in Carbonite ice cube tray, some chocolate and some sugar cookie dough. You can find the recipe here. It’s a chocolate bar and cookie in one – an awesome treat for that Star Wars marathon you watch every other week.